Are you looking for medical billing professionals to help you manage your revenue cycle and bring in more revenue? At 5 Star Billing Services, we integrate our billing expertise with Practice Fusion’s EHR software, one of the most widely used free cloud-based EHR software programs. We ensure your practice receives the maximum benefits of each feature of Practice Fusion’s EHR software. The medical billing professionals at 5 Star are able to access your Practice Fusion software when an insurance company requests clinical documentation. Freeing up your time on documentation requests. Our medical coding experts supplement the ease of the ICD-10 keyword search provided by Practice Fusion and provide additional revision to superbills to ensure coding accuracy. With outsourced medical billing services, your office staff does not need to be adept in the constant changes and updates to the ICD-10 codes, billing regulations, and documentation practices. You can continue to enjoy the ease of use and all of the wonderful features of Practice Fusion’s EHR software while outsourcing billing services to a medical billing firm. We pride ourselves in providing quick, efficient and accurate billing services with the ability to process claims within the same day. By contracting a professional medical billing firm, you no longer need to account for operational costs associated with in-house billing tasks. Relieving you of the stress of in-clinic employees and other in-clinic costs. 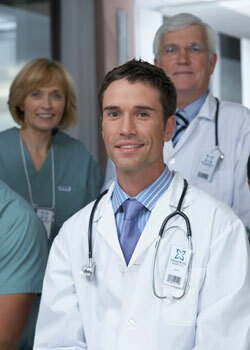 Our medical billing experts are Practice Fusion specialists. Let us reduce your operational costs and drive up revenue for your practice in a transparent and HIPAA-compliant manner. Contact us today online or call us at 480-821-1371 to learn more about how our medical billing experts can maximize your revenue using free Practice Fusion EHR software.